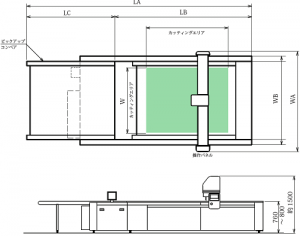 CAM / Auto-Cut System | Products | Takaoka Co.,Ltd. display is now also available. 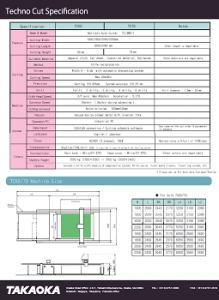 for customers to learn the machine operation. It can also help reduce the chance of operation mistake. Detection of near lines and overlapping common lines between nearby pieces. 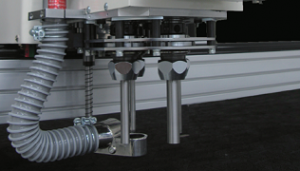 Prevents double cutting, and allows automatic deceleration to avoid damage to adjacent pieces. 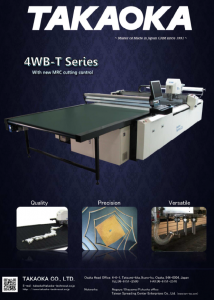 Helps shorten the cutting time, and increases the cutting quality and material usage. 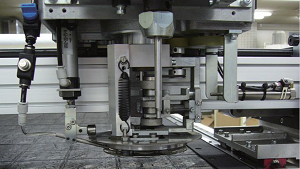 Specific parameters can be set to meet the demand for cutting various kinds of materials. Cutting parameters such as acceleration / deceleration and cutting speed of cutting head can be set with different values for corner, boring etc. 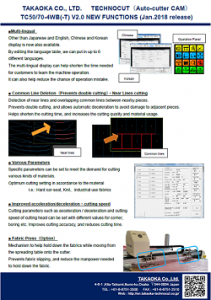 Improves cutting accuracy, and reduces cutting time. the spreading table onto the cutter. to hold down the fabric. 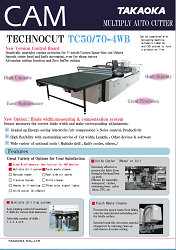 Drastically upgraded cutting precision for V-notch/Corner/Inner-line cut/Others. Greatly boosted Energy saving (Electricity/Air-compression), Low noise, .Productivity. 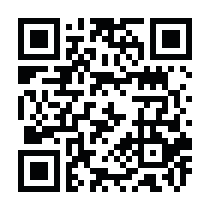 for your typical requirement and right solution for your application. Prevents the punch waste from falling onto the material and embedding into the bristle surface. 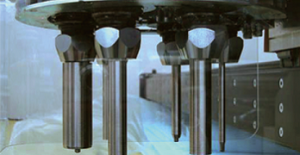 Extends bristle life, decreases material changeover by reducing clean up and ensures accurate cutting.